The Short Version: Most professional photographers can snap compelling shots, but not all have the programming ability to develop a beautiful website that compliments their work. Fortunately, there is a solution. PhotoShelter provides an easy-to-use, intuitive website builder aimed specifically at creatives with little to no coding experience. For those who make a living shooting engagements, weddings, anniversaries, births, and other events, the platform provides an effective way to showcase, market, and sell work to clients with its fully integrated e-commerce platform. With customizable templates and a full marketing suite, it’s easy to see why more than 80,000 photographers have turned to PhotoShelter to broadcast their art to the masses. More than 2.3 million couples marry each year in the US, and the vast majority hire professional photographers to document their weddings. Popular websites, like The Knot and Brides, dedicate numerous articles to choosing the perfect photographer for the big day and the many events surrounding it. One of the top tips these trusted bridal sites give about selecting a photographer relates to the quality of a photographer’s website. They suggest to look for a diverse range of themes and styles as well as filters and finishing options. These bridal experts also recommend using photographers who have simple websites where couples and guests can order prints that can be customized and delivered quickly. Many potential clients will skip over photography sites lacking these characteristics and move on to a competing site offering such services. Setting up a beautiful site that compliments a photographer’s aesthetic may seem like a daunting task for the creative with little to no coding ability. Luckily, PhotoShelter is there to help. PhotoShelter offers an intuitive web builder photographers can use to broadcast and sell their art. PhotoShelter is a customizable website builder photographers can use to create professional-grade websites quickly. The platform’s gorgeous, pre-built templates and drag-and-drop interface make site creation easy and intuitive. PhotoShelter offers unlimited cloud storage as part of its pro plan and a proofing portal that makes it simple to manage jobs. With a fully integrated, comprehensive e-commerce platform, it’s no wonder more than 80,000 photographers are turning to PhotoShelter to showcase, promote, and sell their work. 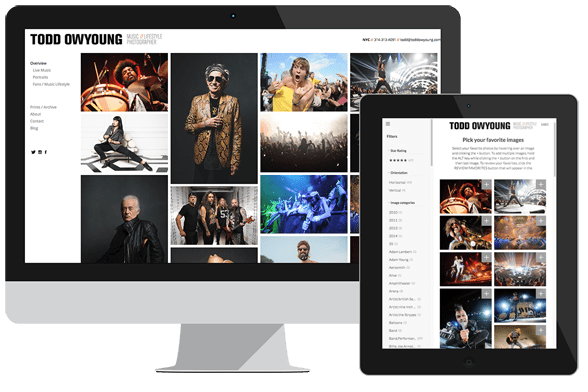 In the past, developing a photography website customized to your brand and style was an insurmountable task without holding a degree in programming. The only other option was to hire a professional web developer, which can quickly become costly. 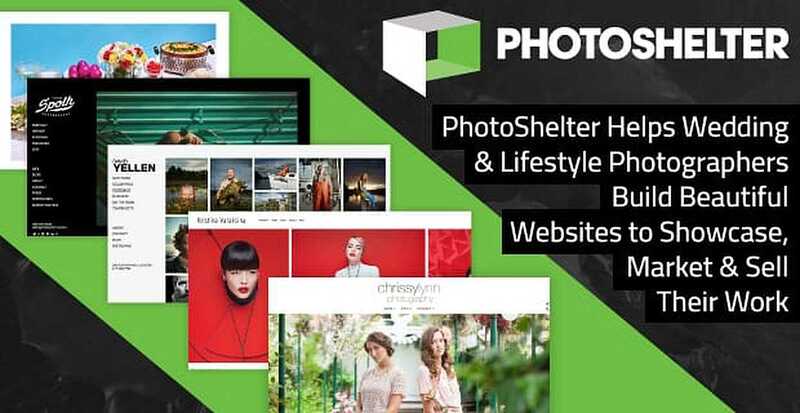 PhotoShelter’s web builder and e-commerce platform are aimed specifically at photographers and creatives with little to no knowledge of coding. Using slick and stylized templates, photographers can get branded sites up and running in no time. The platform’s templates are fully customizable, so creatives can personalize themes with their specific colors, fonts, logos, and watermarks. To help further the reach of your work, PhotoShelter seamlessly integrates with all the major social media platforms. Site owners can add Instagram feeds, include their latest WordPress blogs, and even incorporate Vimeo videos into their sites. With the platform’s Pro account, photographers can showcase their entire portfolios on their sites with unlimited storage. All images are housed on the cloud, ensuring your photos are safe and always accessible. Advanced permission settings also let you control your images on an individual level, and adding and removing files is as easy as dragging and dropping. You can use PhotoShelter’s Lightroom plugin and Photo Mechanic to sync your catalog with your cloud archive and tag and search photos with ease. According to a survey conducted by The Knot, the average amount spent on a wedding photographer is $2,783. Last year alone, PhotoShelter site owners sold $3.7 million in photos. The quality of work photographers are booking from their websites is impressive. Major magazines, like Vanity Fair, The New Yorker, and National Geographic, frequently show up as clients for a large number of photographers using PhotoShelter sites to showcase their work. PhotoShelter’s e-commerce features help streamline sales and fulfillment processes. The platform gives you the ability to create unlimited price lists for clients based on your services. You can even offer packages, discounts, and coupons with PhotoShelter’s marketing tools. Multiple payment options are available, including Paypal, Stripe, and credit cards. Site owners also have the option of offline invoicing and payments. PhotoShelter’s fully integrated e-commerce platform offers multiple payment and fulfillment options. After purchases start rolling in, you can handle fulfillment your way. If you want to make the process as hands-free as possible, you can partner with print shops, such as WHCC, AdoramaPix, EZ Prints, BWC or Loxley Colour (UK), for fulfillment. If you like to do it yourself, you have that option, too. Using PhotoShelter’s marketing tools, photographers can experience the best in social sharing, integrated SEO, and analytics. Share images directly to social media and add “follow” buttons to increase present and future sales with consistent website traffic. Use search engine optimization for custom tagging, metadata, editable page titles, and auto image-level sitemap generation to increase your reach when people search across the web. The platform’s analytics tools allow you to monitor your traffic and see which images brought in the most views so you can tailor future photos around those the public seems to like the most. PhotoShelter even has a Google Analytics integration so you can see all your information in one dashboard instead of toggling between sites. A portfolio can act as a creative’s best salesperson, and one of the best things about PhotoShelter is it makes portfolios portable. PhotoShelter gives site owners the ability to access images on any device wherever they are. This lets you show prospective brides your most beautiful wedding shots on your iPad, smartphone, or other mobile devices. PhotoShelter sites are mobile responsive, so you can bring your portfolio along wherever you go. You never have to worry about the site looking less than amazing because PhotoShelter’s websites are responsive and mobile friendly. They also boast high-quality images with low load times, which is very important when housing a large number of sizable photo files. The Client Proofing Portal is another customer pleaser. All your blushing brides and happy grooms (and their families and friends) need to do is go to your website and choose the images they want. With one click, clients can filter, select favorites, compare sets, and order images for delivery. You can then export to Lightroom for retouching if needed and deliver them straight from your account. More than 80,000 photographers have found PhotoShelter to be a great venue to broadcast their work and grow their brands. By browsing some of PhotoShelter’s photography sites, it’s easy to see why the web builder is so popular. From simple and sweet, to high-end and glossy, the platform’s templates are easily branded and feel custom-made not custom-fit. Building a beautiful photography site doesn’t have to be daunting. PhotoShelter makes the task simple, so you can focus on your art and your clients can zero in on a site that compliments your work.